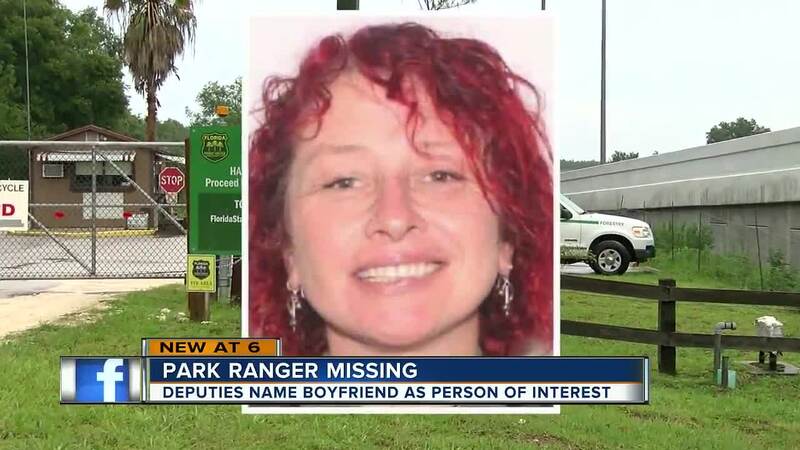 HERNANDO COUNTY, Fla. — The body of a missing Florida park ranger was found floating in a waterway in Camden County, Georgia. 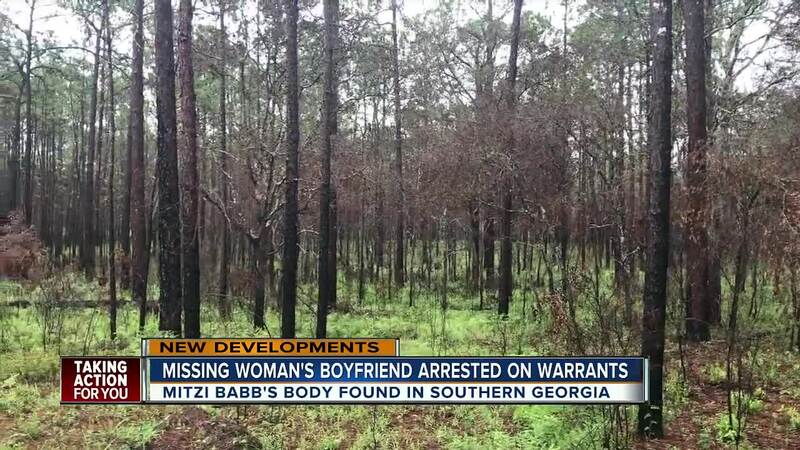 Mitzi Marie Babb was missing in Hernando County and deputies had taken her boyfriend into custody on arrest warrants out of Georgia. Deputies say the circumstances of the case are suspicious. Mitzi Babb has been a park ranger for the Florida Forest Service for nearly 10 years. Detectives suspected she may be in danger. "All of the circumstances that have come to light in this investigation lead the detectives to believe that she probably just didn’t leave on her own accord," said Denise Moloney of the Hernando County Sheriff's office. Deputies aren’t releasing much information in this ongoing investigation but they have located and arrested Babb’s boyfriend, Jeffrey Morrison, who they say is a person of interest in this case. Morrison was taken into custody Thursday night at the White Plains Agricultural Weigh Station on I-95 in Hamilton County, Florida. Morrison is being held on arrest warrants out of Georgia for Armed Residential Burglary and Attempted Arson. Both offenses occurred in Peach County, Georgia on June 21, 2018. Law enforcement crews are currently using four-wheelers to search deep in the forest for any clues. If you have any information on this case please call the Hernando County Sheriff’s Office immediately. If you would like to remain anonymous – Please call Hernando County Crime Stoppers at 1-866-990-TIPS (8477) or submit your tip via the internet here . Deputies say you will remain anonymous and also be eligible for a reward up to $1,000 cash.